David Gill talks about our participation in the LTA's Davis Cup Legacy programme. With over 150 Junior members of all ages, Camberley has one of the most active junior sections of any club in the area. The club’s Head Coach, David Gill of Prime Tennis organises group coaching for all ages and abilities, a junior club night, league teams and competitions. The best juniors also get selected for the senior teams. Junior coaching sessions run after school Monday to Thursdays. Coaching sessions are for juniors of all standards, age 4-18. Junior club night is a supervised club session for junior members which runs every Friday during term time from 16:30 to 18:30. A Masters Series of junior events also takes place on Fridays for all levels to gain some supervised match experience. 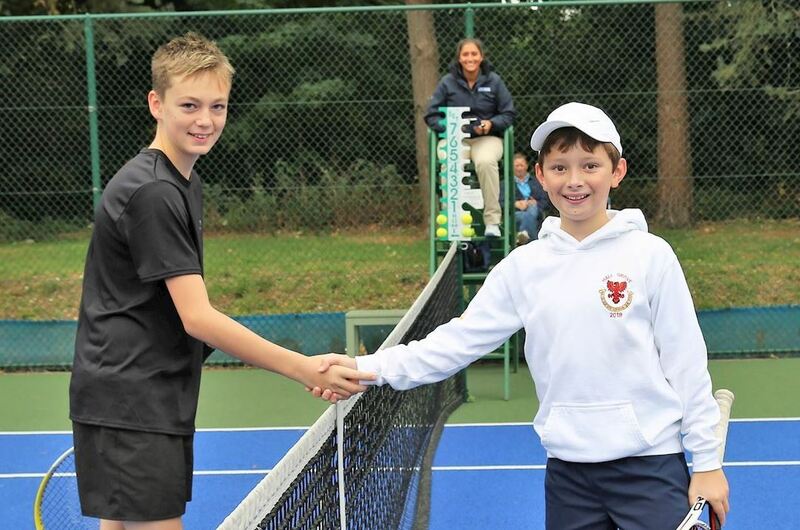 Junior teams are entered every summer into the county AEGON leagues and players are selected on ability. For more information about the junior programme at Camberley Lawn Tennis Club, please email David Gill or telephone 07775 814800. CLTC aims to comply with the LTA's policy on the safeguardingof children and young people. A copy of this policy is available here.